Facebook isn’t one to shy away from ambition, and their newest plan to deliver Internet to rural parts of the world via their own drone sounds just crazy enough that it might work. In a blog post on Thursday, Facebook detailed their plans to find economical ways to provide Internet access to the 4 billion people that live removed from cell towers or land lines. Instead of trying to install fiber-optic cable or microwave repeaters, Facebook plans to fly their thousand-pound drone in circles above the Earth, providing broadband level internet to those within a 50 mile radius below. 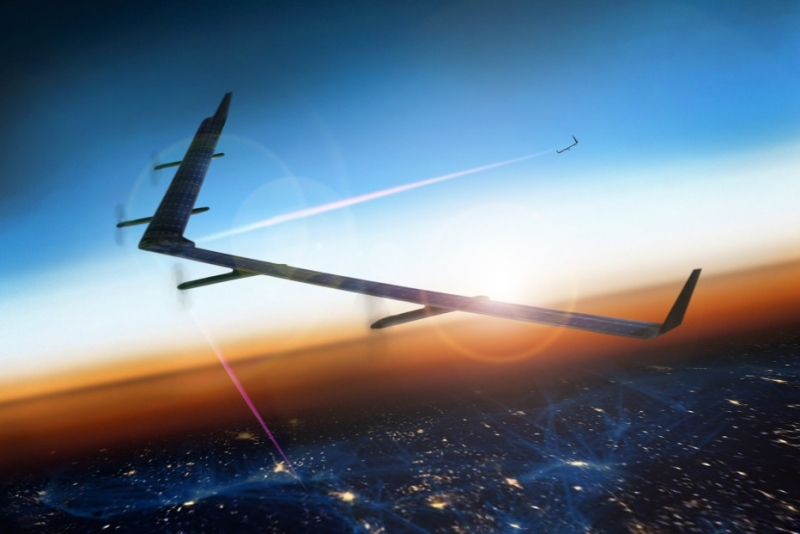 The drone is called Aquila, Latin for eagle, and was designed by Facebook’s aerospace team in the UK. It’s solar powered and has the wingspan of a Boeing 737, but is much lighter due to its carbon-fiber frame. When the drone is deployed, Facebook says it will be able to circle an isolated area for up to 90 days at an altitude of 60,000 to 90,000 feet before floating down for a tune-up and returning to the sky. Along with the drone, Facebook also announced a breakthrough from their laser communications team in California. They have designed and lab-tested a laser that can deliver data at 10s of GB per second to a target the size of a dime from more than 10 miles away. This speed blows away the previous best in the industry, and the next step is for Facebook to test these lasers in real-world conditions. Facebook hopes that when finished, this laser system can be used with their aircraft to create a network that can reach anywhere.